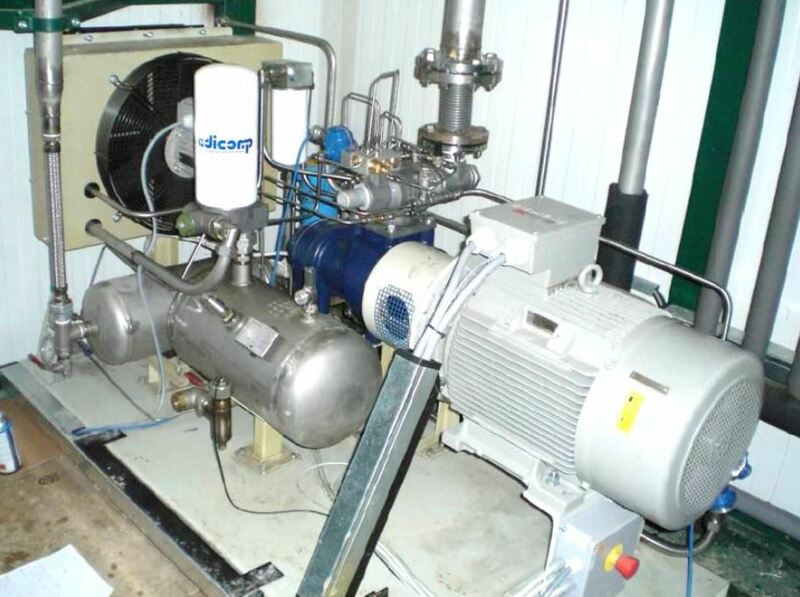 Landfill compressor for cogeneration plant. The BVG is installed inside a container to supply an Elliot microturbine T100. Open frame version suitable for outdoor installations. ATEX zone 2.